Imagine living in a high-end, modern home in the most desired neighborhood in Torrance, nestled against the Christmas light section of the Seaside Ranchos area. 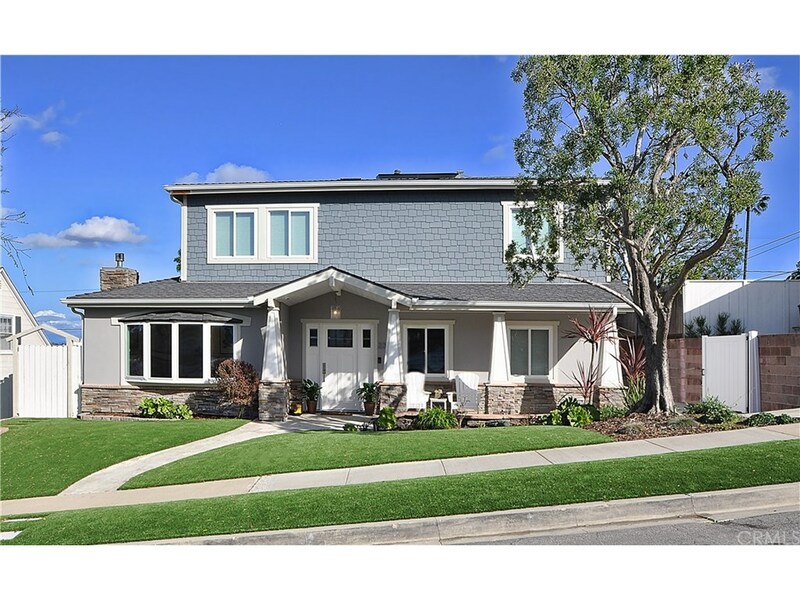 Welcome to this clean, coastal craftsman-inspired home with incredible finishes, recently remodeled to include all new flooring, water saving landscape and paid-in-full solar panels. Channel your inner chef by utilizing the double oven, luxury cabinets, stone counters and expansive island. Looking around, you will admire the spacious vaulted ceilings, recessed lighting and high-end finishes, including 2 fireplaces surrounded in stacked marble, front door entry with beveled glass and custom blinds throughout. Upstairs, the master suite has doors leading to an outdoor area and a separate space for a seating. A huge custom walk-in closet and a bathroom with double sinks, soaking tub and views of the snow-capped local mountains round out this spectacular retreat. Take a step outside to experience the inviting indoor-outdoor feel of the yard with recently-installed, water saving turf and a space large enough for seating to entertain and take in the city views. The finished garage with upgraded electrical and flooring is a great area for a home gym or bonus room. Other thoughtful details are a new washer dryer, fresh paint throughout, Slimline central A/C, and new heating unit. The combination of warm traditional wood and modern elements perfectly complement each other to create this truly timeless modern home.